My Central London based Champion Making famous course is a complete Posing and Stage Presence Course (plus 1 Mock Show Day Class), covering my unique techniques that will leave you fully prepared and shining with confidence when you step on the stage for your Fitness Model, Muscle Model or Men’s Physique Show. This course is jam-packed with information not offered anywhere else. Do not make the mistake of perfecting your body in the gym only to get on stage and bomb! Proper Poses and Stage Presence with me is what can take you from 10th place to 1st place. Each federation has slightly different requirements for posing and I teach poses for all of them. Choose the perfect poses that flatter your body (and are appropriate for your chosen federation) with my eye for detail. Pull out your ultimate stage personality with my unique teaching methods, so you stand out in a packed line-up. Teach you tricks to get the judges to watch you more than the other competitors. Eliminate your inhibitions and stage fright. Have you so prepared that when you step on stage you are READY to ROCK IT and enjoy yourself! Course covering Posing, Stage Presence, plus 1 Mock Show day. Small class numbers to ensure individual attention. Maximum 5-8 men per class. Learning to rock the stage takes time and many students repeat this course 2x (£50 discount for the 2nd time). This class is for all competitors who are new to being taught by Audrey and for past students who need to refresh and enhance their skills. Private one-to-ones are by invitation only and all new students must first enroll of the in-person course. All classes are held in Central London Studios. Usually Bank tube or Farringdon tube locations. This class is held as a ‘real show’, so you get to experience performing your routine under pressure. This is my best class that I offer and you will be 100% ready after this class. 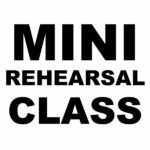 Do NOT step on stage without doing this class! 1 Mock Show Day is included in the price of the In-person course. All graduates of the in-person course may attend, but additional Mock Show day classes may be booked. Men’s Posing Course – TOTAL 5 HOURS! Before attending this class you must be enrolled in the Online Posing Course + attend at leat 1 of: In-person Course or a 1-2-1 or a Practice Class.